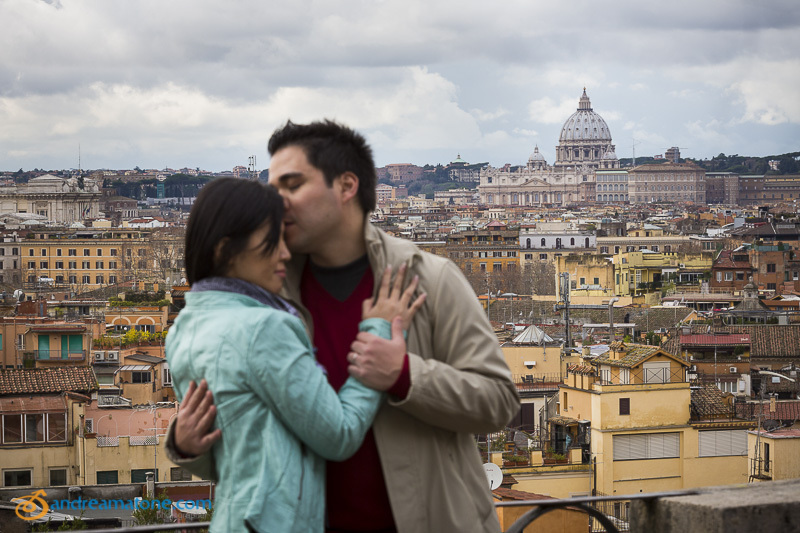 Rome is among one of the best honeymoon destinations. 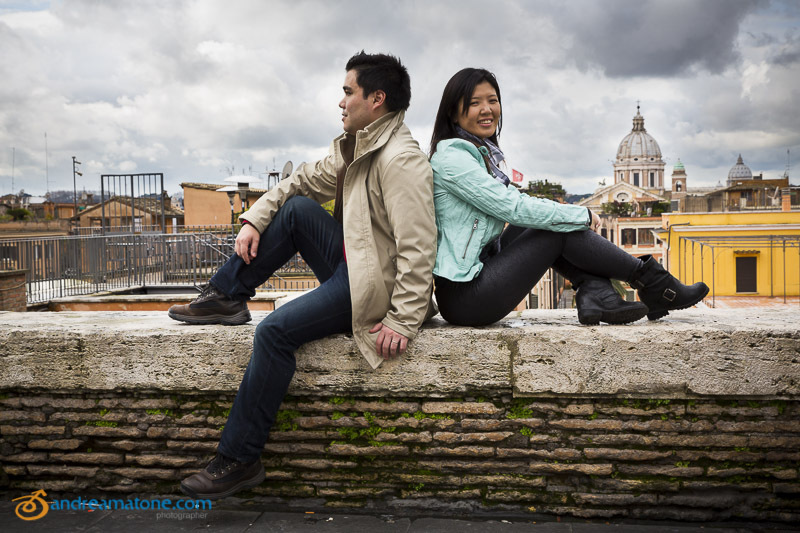 Via Veneto is a really beautiful side of Rome to begin the Honeymoon Photography session. The hotel was quite inspiring so we started with some old century style architecture as background. 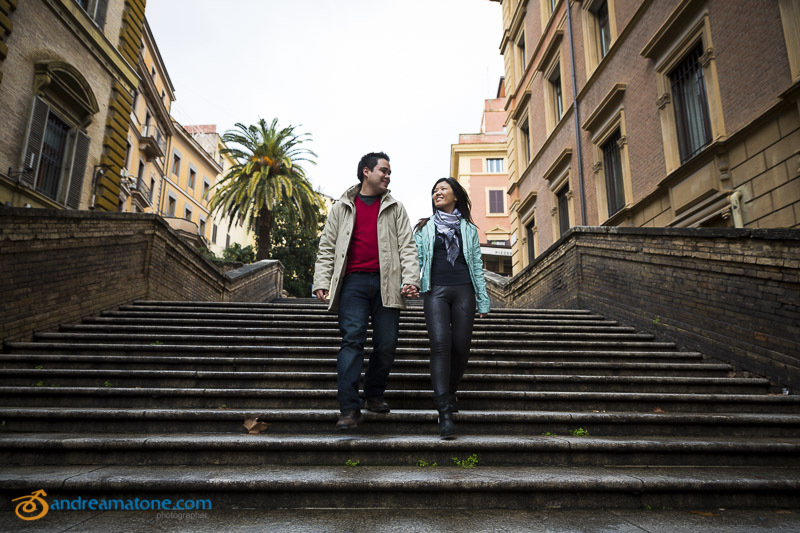 And moved our way down the steps using an interesting elevator to help capture some more romantic pictures. Great place for a photographer to shoot and to feel the Italian atmosphere. So many inspiring angles on the water fountain and on the side buildings. I was inspired by some black and white photography to emphasize the white marble effect. There is an interesting building here with a large open mouth at the entrance. I couldn’t resist in setting up a very simple and quick photographer-light-set for the session. 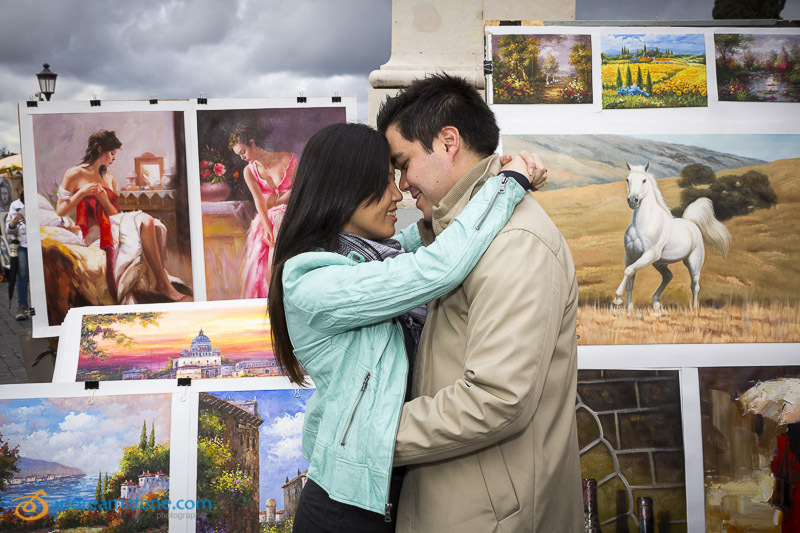 Then onward to Piazza Trinita’ dei Monti with the stunning view over the city rooftops and all the colorful paintings. So beautiful as always. The stairs in the lower part of the piazza were being used to film a fashion related or perfume related commercial. So we had to doge a little bit but it was great to see the filming process. 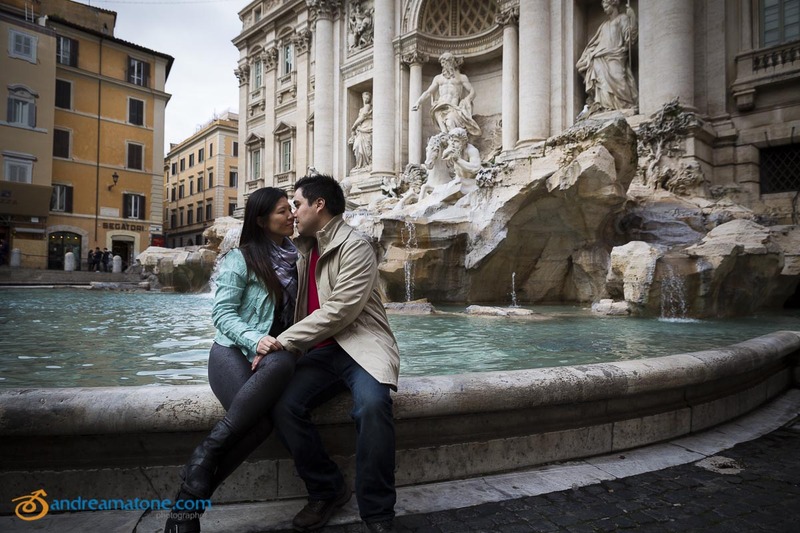 Then we literately jumped around to Reach Piazza Fontana di Trevi where our wonderful photo session ended. Congratulations! 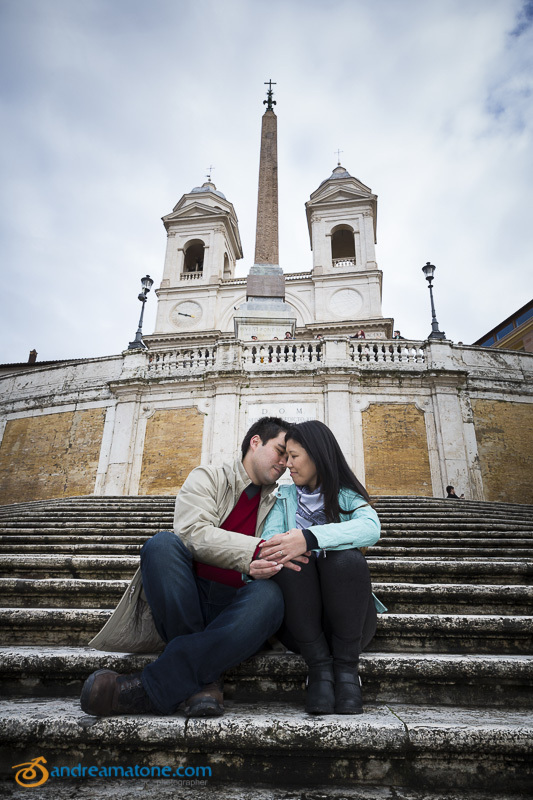 A lovely honeymoon remembered at the Trevi fountain and the Spanish steps in stunning and romantic pictures.